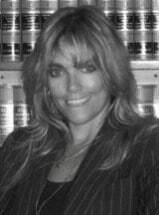 Licensed and admitted to practice in California, Australia, England and Wales, attorney Leslie Niven of Niven & Niven, in Orange, California, has been practicing family law for nearly 20 years. At Niven & Niven, we understand that ours is a business of service and that our clients are our most important assets. It’s essential that our clients be able to talk candidly and freely with us and maintain an open dialogue. We believe we achieve enduring lawyer/client relationships by honoring this principle and seeking to work in partnership to achieve our clients’ objectives. Ms. Niven capably assists individuals seeking legal services revolving around the many aspects of family relationships including, but not limited to, divorce, child custody and support, spousal support and property division. Our years of experience in family law enable us to work with clients in complex custodial arrangements and child support agreements. We can help you accomplish your objectives in a marital settlement agreement or, when necessary, with aggressive litigation. We have years of experience characterizing a couple’s property — as separate, quasi-community, quasi-marital or community property — the starting point for the just resolution of marital property rights and obligations in divorce. Our experience includes division of pensions, retirement rights and business buyouts. Founded in 1960 by the late attorney Louis M. Niven, the law firm of Niven & Niven represents clients in personal injury claims and in estate planning matters, as well as family law in Australia, England and Wales, as well as California. We are located in Orange County, adjacent to Los Angeles, Riverside and San Bernardino counties. Call our offices to arrange a free initial consultation.